Before I post my next entry I just want to update anyone who might have wondered: the San Francisco Art Institute Visiting Faculty Association adjuncts (including yours truly) voted 124-35 to join SEIU Local 1021, joining adjuncts at Mills College in Oakland who also recently voted by a large majority to unionize. Now begins a process of negotiation and positioning to see if we can get real improvements in our remarkably precarious conditions. My own future well-being has become much more dependent on my role as co-director of Shaping San Francisco, so if you are inclined to support this important almost 20-year-old project, we’ve launched a big fundraising effort called the “3% Solution,” hoping to get 3% of our 35,000+ monthly web visitors to sustain us for the cost of a cupla-three fancy coffees ($10/mo. 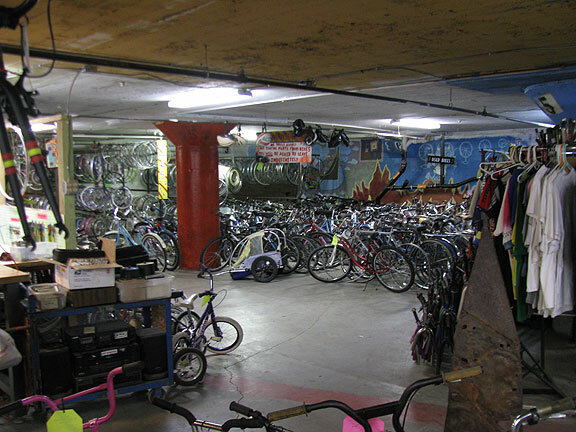 ), a tax deductible donation. This is the desert… hundreds, maybe thousands, of people were walking through this landscape as I took this photo. 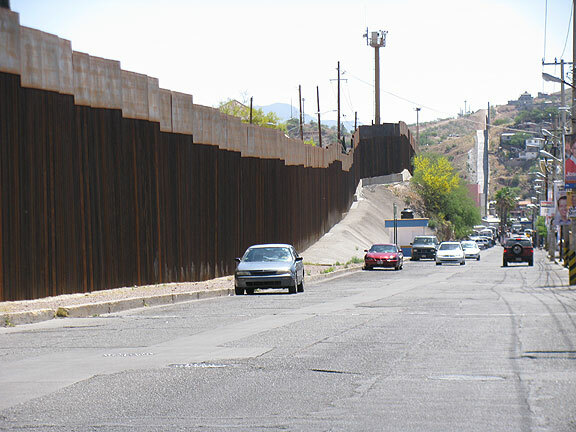 The border between the U.S. and Mexico in Nogales, Arizona (and Nogales, Sonora on the other side). 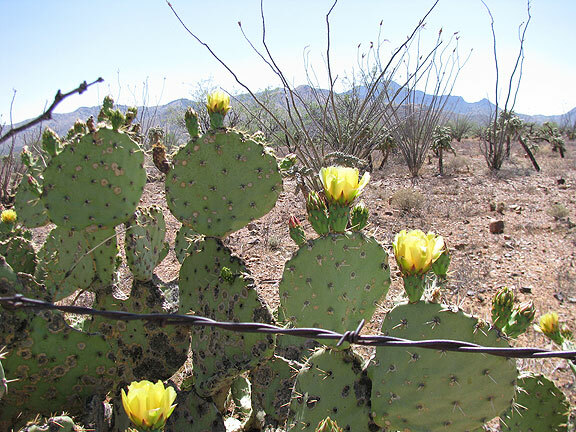 This blog post is actually two years old, from a trip to the Arizona/Sonora border in May 2012. 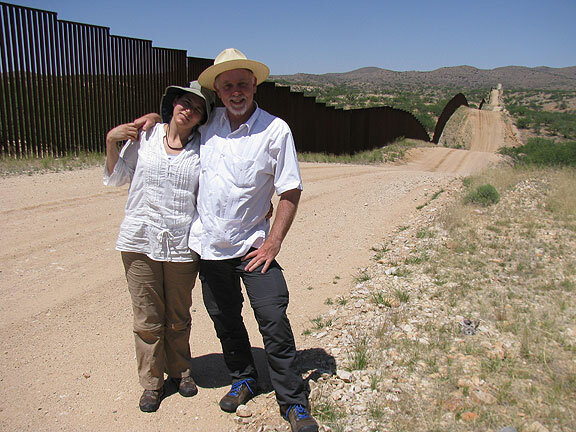 We spent six days around the Arizona-Sonora, Mexico border last week. I was accompanying Adriana on her research trip down there, mostly as chauffeur, though I participated in some of her interviews with my own curiosity. (All the contacts were hers and the overall scope and purpose of the trip was set up by her as well. The interviews from which I learned what I write about below were in their vast majority hers as well. Her project is currently developing at www.unsettlers.org.) Adriana’s cousin Carmen joined us too—she’s employed by an Argentine NGO committed to identifying human remains in various places and helping families learn about the fate of their loved ones. 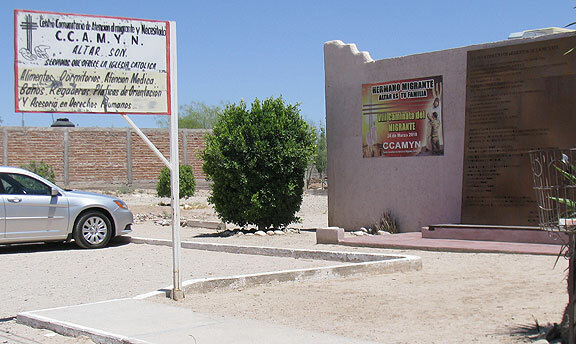 The organization started investigating the desaparecidos (disappeared) from Argentina’s Dirty War, and is now directing efforts towards the hundreds of people dying while crossing the U.S-Mexico border. She brought a specific body of knowledge and a very specific frame of reference to the various people and organizations we visited. 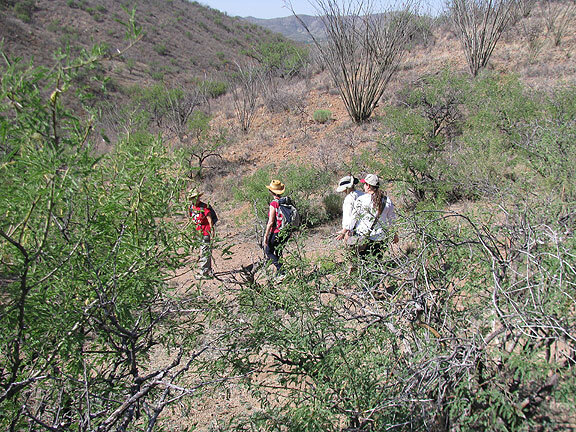 Together we went west and south, driving and walking through the deserts on both sides of the border, seeing first-hand the nightmare that confronts the steady stream of migrants trying to cross into the U.S. 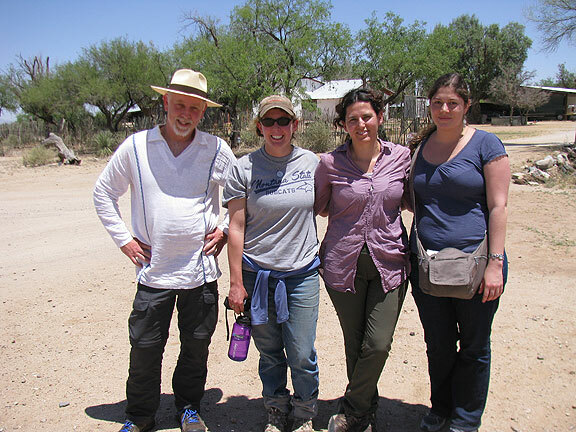 Here we are with Sarah King, a rancher on the border who is working on riparian restoration projects on her land. 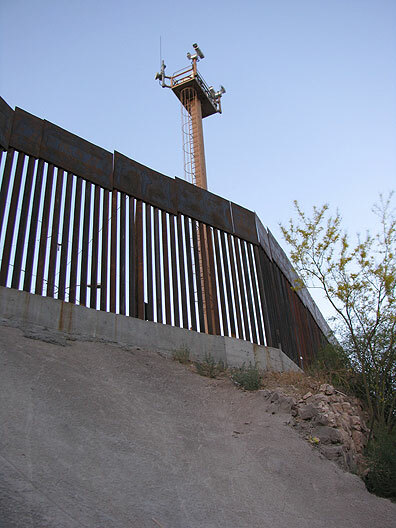 During the last two decades there has been a radical expansion of border enforcement in both space and intensity. 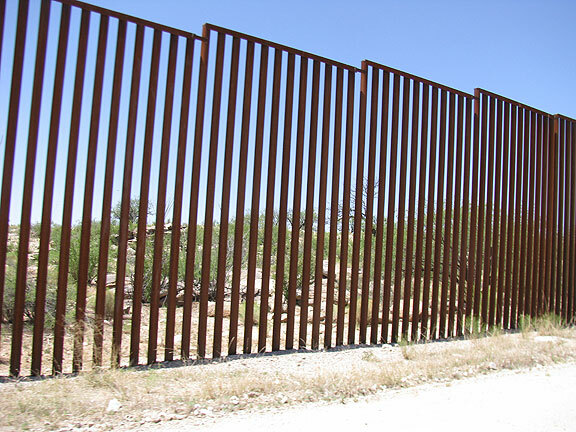 The border has been largely militarized by the U.S., first in response to the North American Free Trade Agreement that took effect at the beginning of 1994, which was designed to open borders to goods and capital, but notably not human beings. After 9-11 the hysteria about terrorism has been used to build huge, ugly (and somewhat farcical) fences, triple border patrol agents, add various technologies of surveillance, and generally turn what was once a quiet and relatively friendly border into a grim echo of the Berlin Wall, South African apartheid, and Israel’s monstrous wall in Palestine. 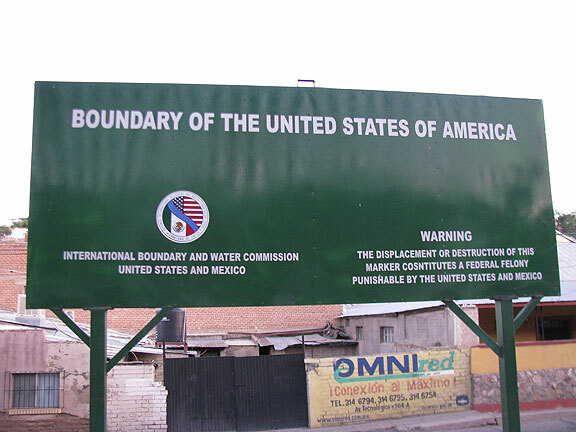 A zone of checkpoints and patrols extends at least 50 miles north from the actual boundary, making for a very thick border leaving no one untouched. 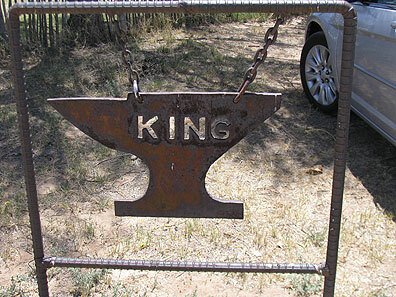 We drove west out of Tucson on our first day to Three Points, and then south to the King Anvil Ranch where we met Sarah King. 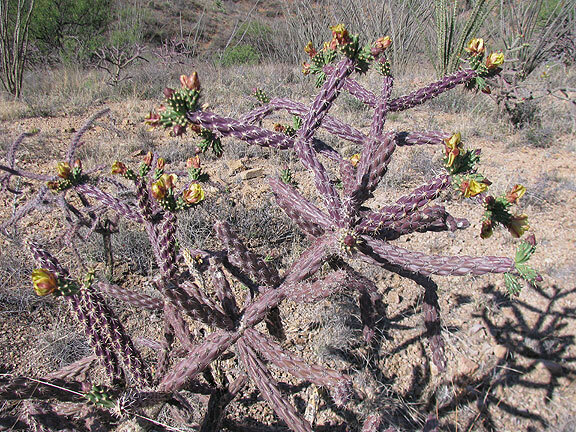 She is part of a ranching family, and is involved with a local Conservation Alliance. 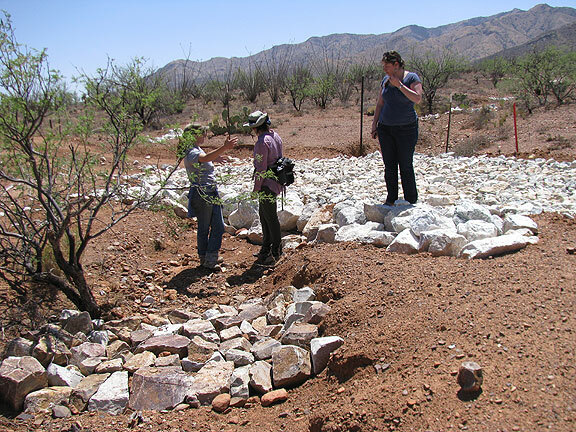 We wanted to see some of the work she’s helped facilitate to create “induced meandering” of rains in areas of high erosion. 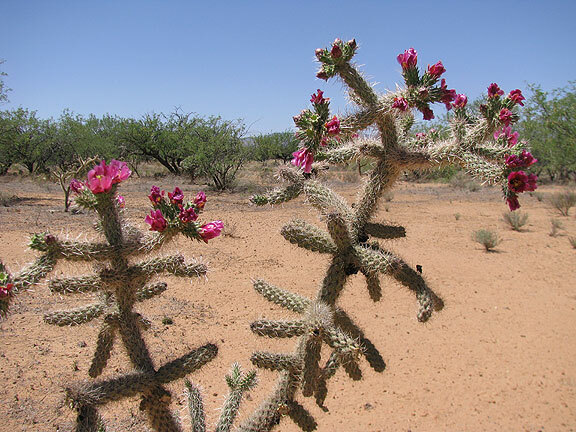 The desert in the vicinity of the King Ranch is just gorgeous! 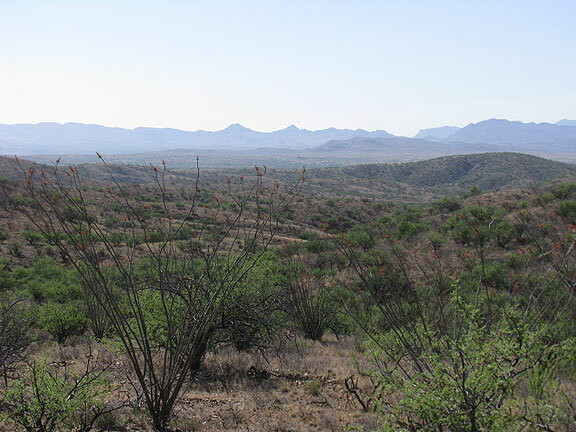 It’s about 40 miles north of the international border in the Altar Valley east of the Baboquivari Peak Wilderness. 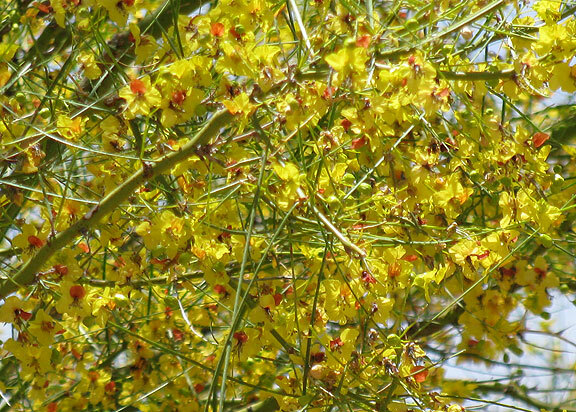 On the other side of the iconic Bobaquivari Peak is the Tohono O’Odham Nation’s Reservation, a sprawling territory covering hundreds of square miles along the border. 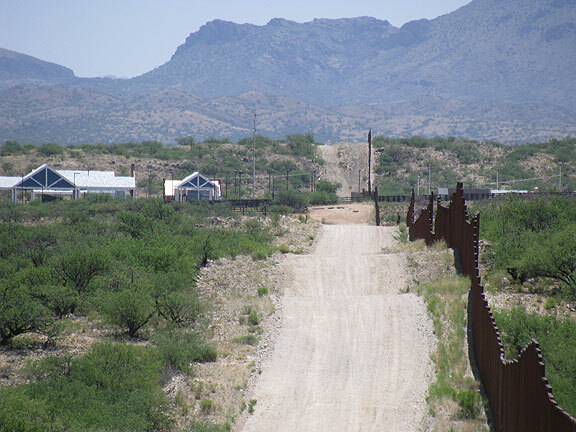 The U.S. border patrol is not welcome to patrol their land. 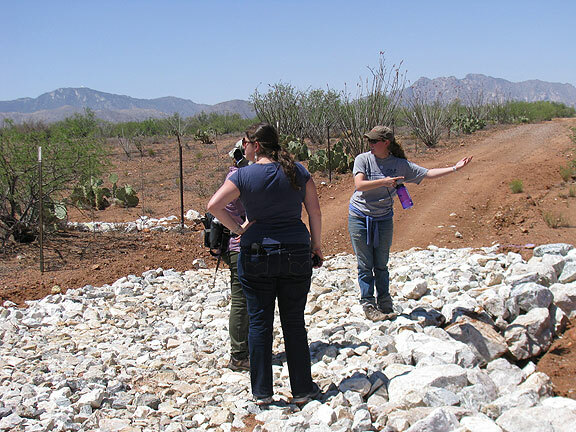 Sarah explaining her riparian restoration efforts. 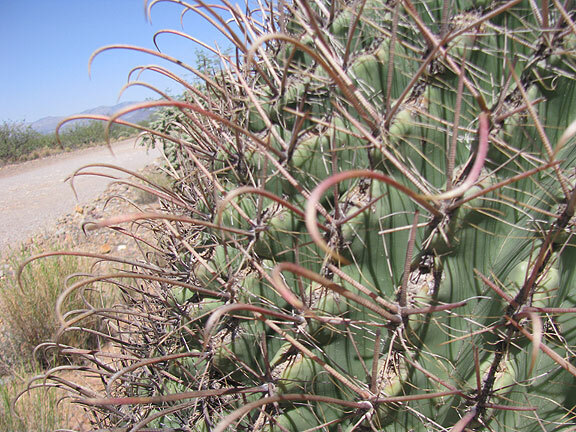 These barrel cactus are supposedly good to find water inside of if you’re lost in the desert, but…. 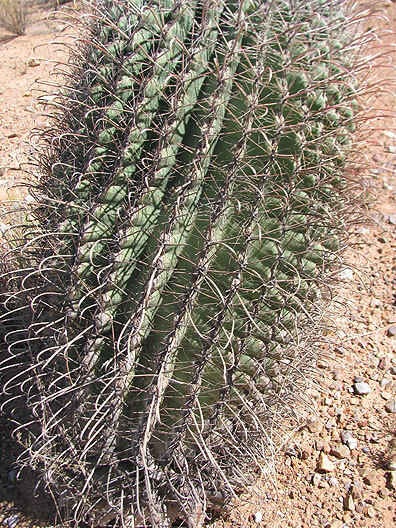 … watch out for those incredible spines! 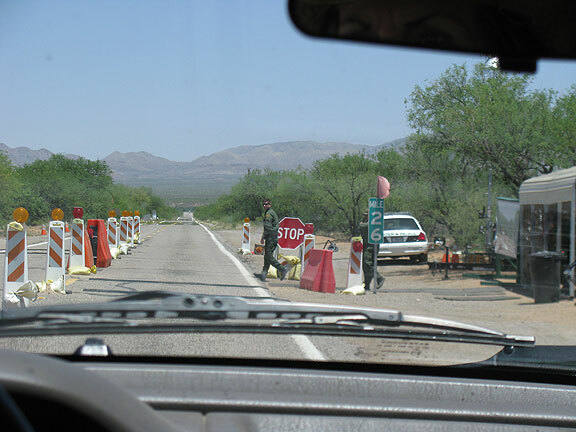 Checkpoint on the road towards the Mexican border. Border guards are a lot like TSA employees in airports. Simple-minded, obedient, convinced of the legitimacy and urgency of their work defending against “enemies,” and at ease in their self-righteousness and petty authoritarianism. 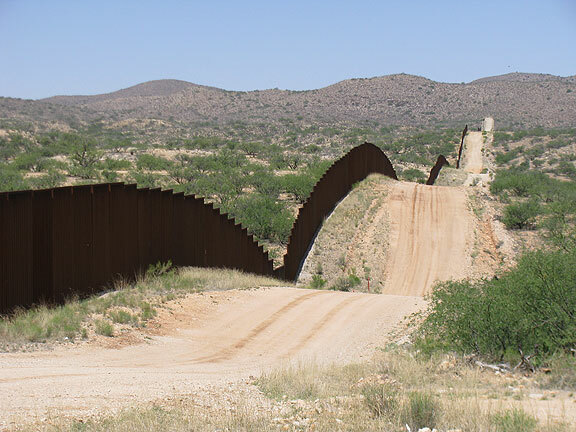 We heard anecdotally that border guards have justified their employment by noting that the jobs starting at $30,000/year with benefits and pensions are “better than working at Walmart.” We also heard that they are admonished before going out on patrol to “come back alive” as though they were entering a war zone! The sadistic violence meted out by border agents (meticulously documented in “The Culture of Cruelty”) is reinforced by a culture that frames their work as equivalent of war, putting the river of migrants into the role of enemy combatants even though the vast majority are just poor workers trying to move north towards wages higher than the prevailing $5-10/day commonly paid in Mexico and further south. 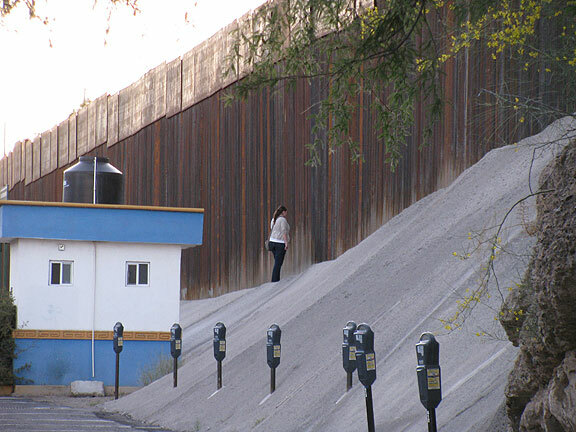 The border separates two worlds, a racist police state in Arizona where cruelty and hostility to incoming migrants is the norm and on the other side, various Mafias dominate the migration channels in Mexico, forcing some migrants to carry their drugs, while extorting exorbitant fees from all of the desperate (and usually poor) migrants as they pass through. 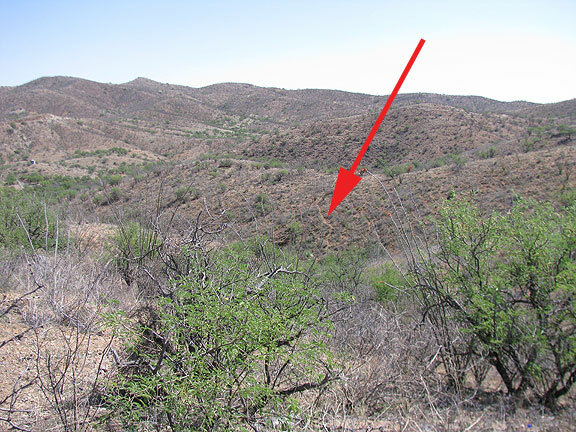 After the interview with Sarah, we were heading out to visit her anti-erosion efforts and 100 yards down the ranch road appeared four migrants. We looked in disbelief, wondering if indeed they were really coming out of the desert, or were they perhaps local ranch hands? Nope, they had been walking for seven days. They approached us and asked if they could use a phone to call their contact to pick them up. Before they were in earshot Sarah was getting the groundskeeper and he was calling the Border Patrol, so these guys were going to get caught. 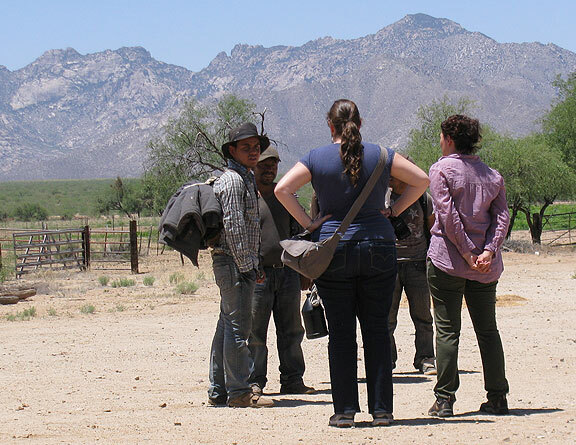 Adri and Carmen were kind to them, and tried to let them know that the border patrol was coming for them, but they were kind of dazed, and it took them some minutes to realize that their time was up. 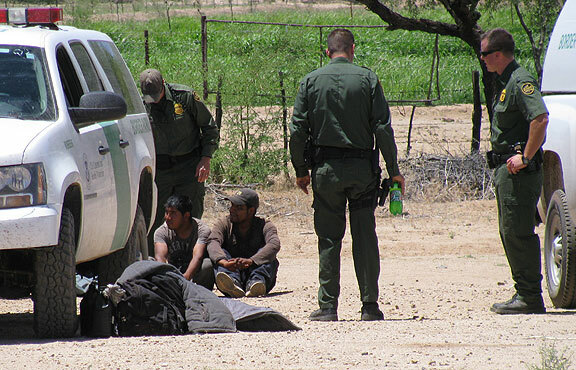 They walked away, but within ten minutes border patrol vehicles swooped in and they were caught. Trainees were on hand too as they were processed. It was heartbreaking to watch, and sickening to feel complicit in their apprehension. But we couldn’t stop it, and watched helplessly as they were “processed” and taken away. Just after hearing about Sarah King’s experiences with migrants crossing her land we were outside and in the distance, voila! here were some guys coming out of the desert. Adriana and Carment did their best to explain to these guys that they had to keep moving, but they were somewhat disoriented by having found friendly people and stood talking to us for about 10 minutes, asking if they could use someone’s phone to call their ride. 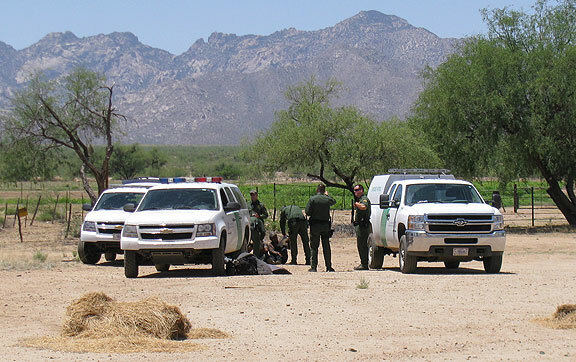 The Border Patrol showed up in a surprisingly short time and they were busted. They made them sit in the dirt and sun for at least 30-40 minutes. The next day was Saturday and we drove down I-19 across the border into Mexico. Our goal was to make it to Altar and return to Nogales on the Mexican side before sundown, and we did it without a hitch. 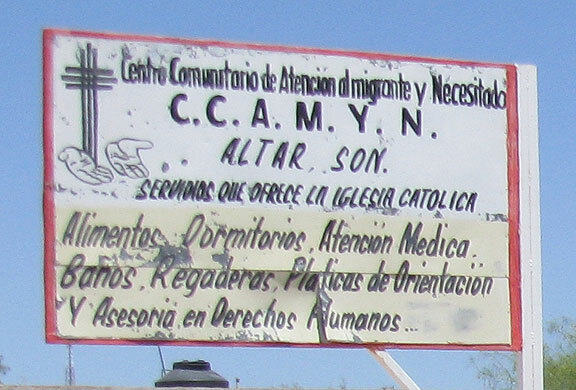 Getting to Altar was our goal because that is the town in northern Sonora where most migrants go to make arrangements to cross the border. 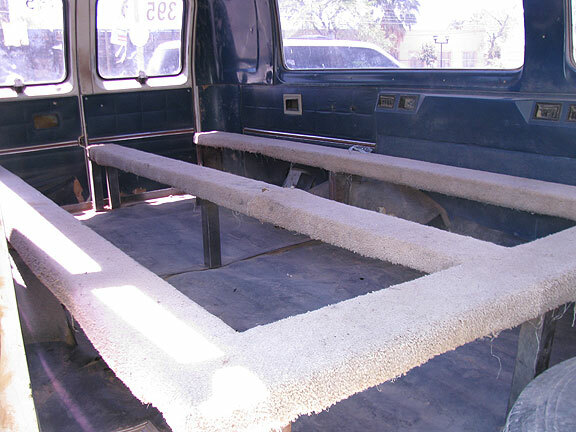 Coyotes and Polleros, the guys who run businesses smuggling humans across the desert into the U.S., find their clients in Altar. 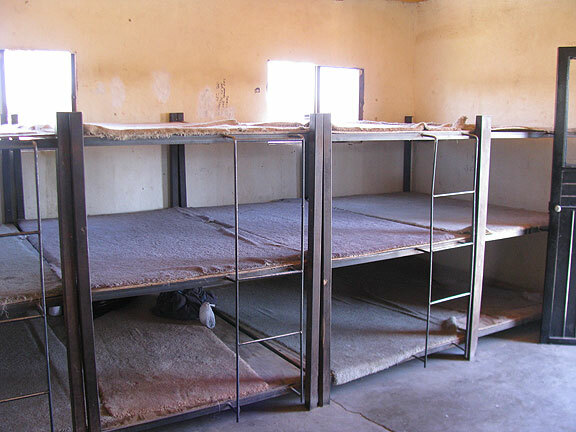 Migrants rent beds in “guest houses,” some of which are surrounded by high walls topped with barbed wire to prevent escape (!) until they pile 16-18 into a van and are driven to the frontier where they begin walking into the charnel house that is the Arizona desert. 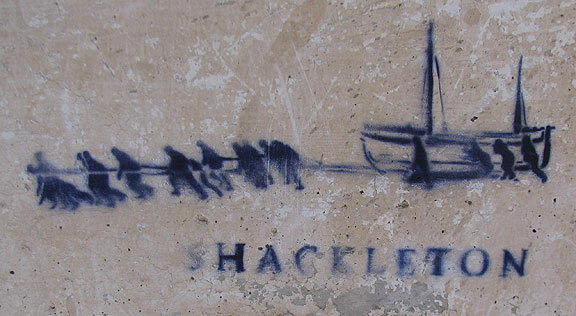 No one knows how many people are dying out there. 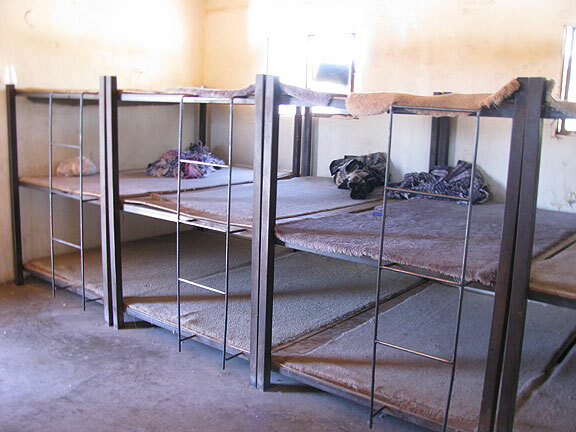 These are the bunks in one of the houses where migrants await their journey in Altar, Sonora. Altar Church where migrants seek support for their journey home if they make it back from a failed trip through the desert. Inside of a van typically used to shuttle migrants to the border where they begin the trek across the desert. 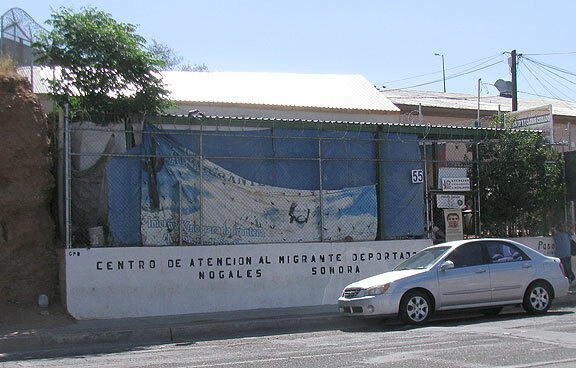 A street in Altar, outside of Padre Peraza’s Migrant Center. 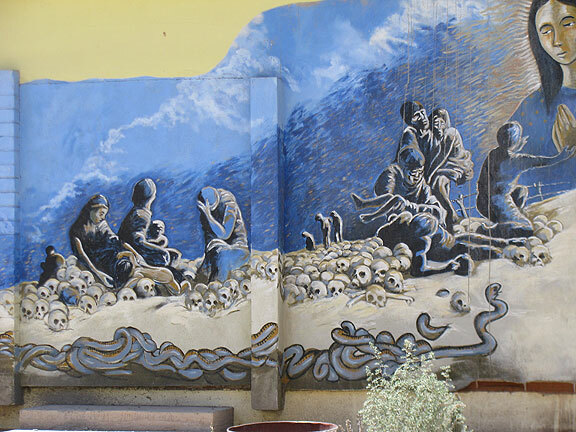 In the courtyard of the Migrant Center with the blue water casket. We met Padre Priciliano Peraza, the only Catholic priest in Altar, who runs a migrant center to provide food, shelter, and resources for the enormous population of people constantly passing northward through Altar, or southward after deportation. He’s a dynamic guy who manages to straddle the contradictions in his parish with wit and charm, but you could feel that he’s probably able to go toe to toe with bad guys when he has to, too. 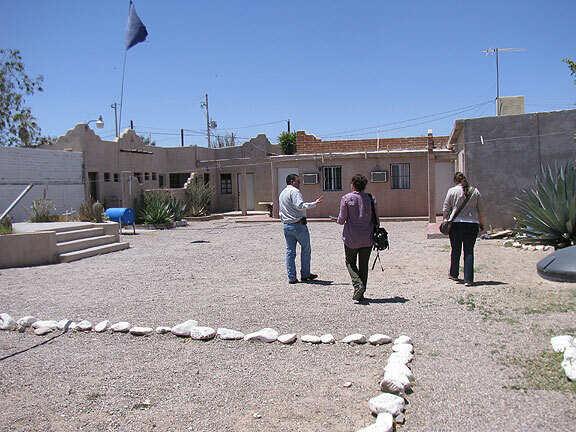 Adriana and Carmen spoke with him at length, and he took us to see the insides of a nearby guesthouse. After we’d made a short walk around the church area he was called in to see someone who needed his help. It was a young Honduran man who was giving up after a failed attempt to cross for the 3rd time. The padre bought him a bus ticket to southern Mexico and set him up with a big bag of food for the trip. So much sadness! Desert crossing gear on sale in central market of Altar. 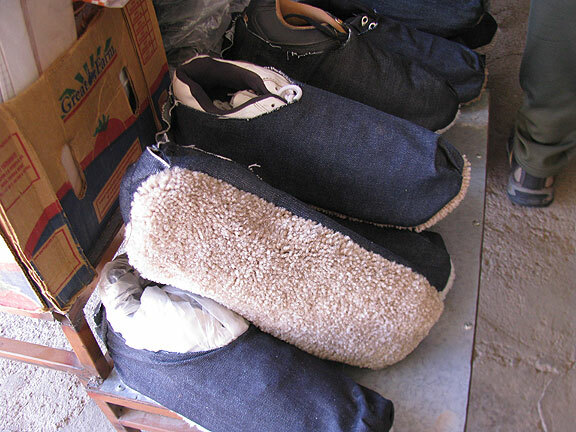 These slippers are sold to migrants to muffle their footprints. 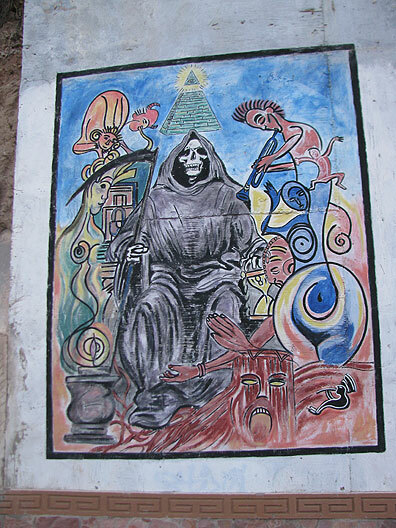 Mural of Santo Muerte on a fence in Altar. 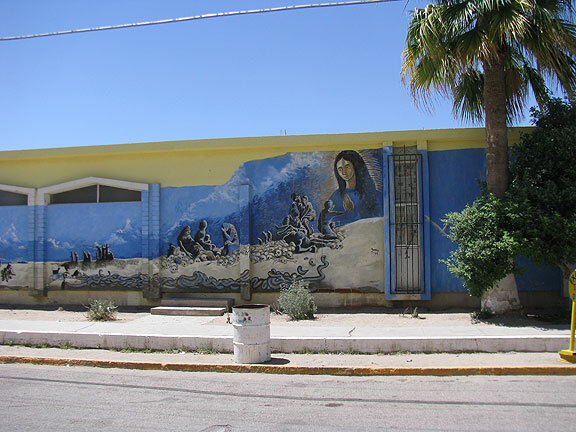 This mural is on the Altar diocese building. 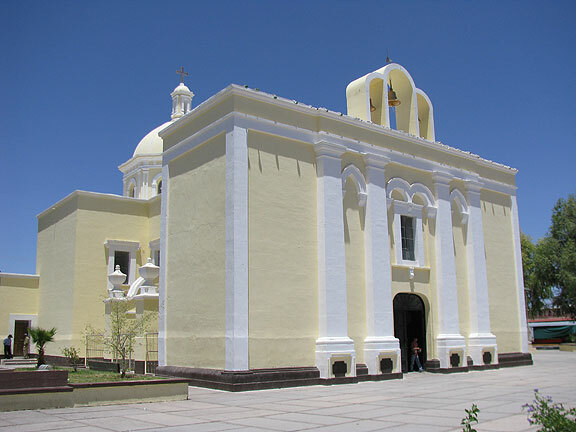 After the padre returned to his work, we walked around the main plaza for a short while. 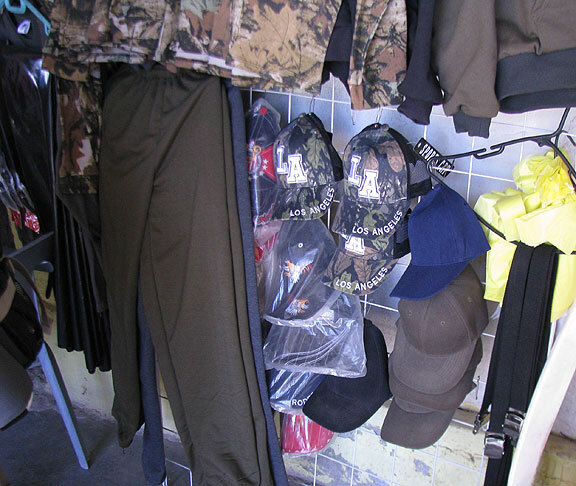 Adriana tried to strike up conversations with some vendors and shoppers amidst the camouflage backpacks and hoodies, black water bottles, furry slippers (to avoid leaving traceable footprints), and a lot of baseball hats emblazoned with “L.A.” and other motivational logos. But no one wanted to talk and the vibe was quite hostile. We beat a hasty retreat and were on the road again in short time. 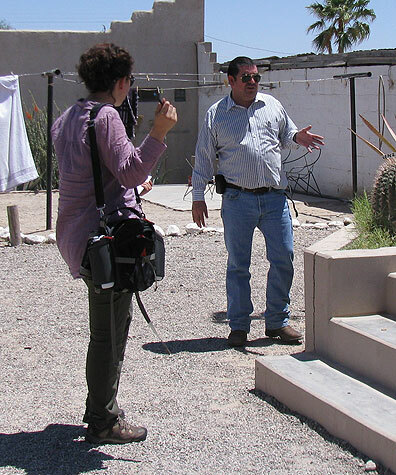 Nogales is a charming town along the border, far nicer on the Mexican side than the U.S. side. Well-known travel writer Paul Theroux wrote about crossing on foot in the New York Times a few months ago, and his long article captured well some of the experience we had too (tellingly, he asked the border guard at the neighborhood crossing what it was like on the other side, and the guard answered that he had no idea, having never crossed the border or visited Mexico—unfortunately that is probably typical of a lot of the folks on the U.S. side). Cameras and big fences but only in certain areas. 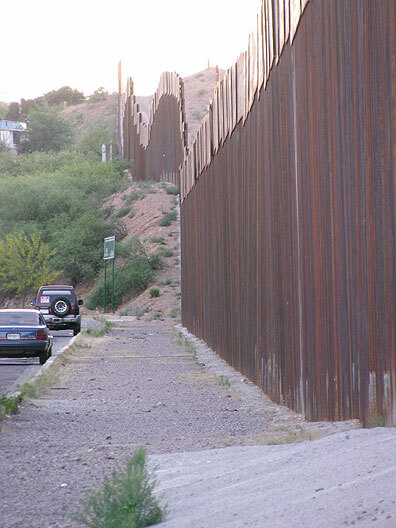 We went up to the big fence that now divides the two sides of Nogales to experience the absurdity of it. I have hated borders for a long time, and this journey only reinforced my antipathy. The next morning we went in search of the Comedor, a migrant soup kitchen feeding dozens of folks a day, mostly just deported from the U.S. We met Marla there who is a native of Phoenix and after ten years in Mexico working with migrants spoke eloquently about the oceans of sadness she witnesses all the time. She and the priest who runs the kitchen facility talked about how they try to provide space for people to sit and think, to get a bit of time to reflect on the impossible decisions they face after being dumped across the border, often separated from family, and cut off from their income. 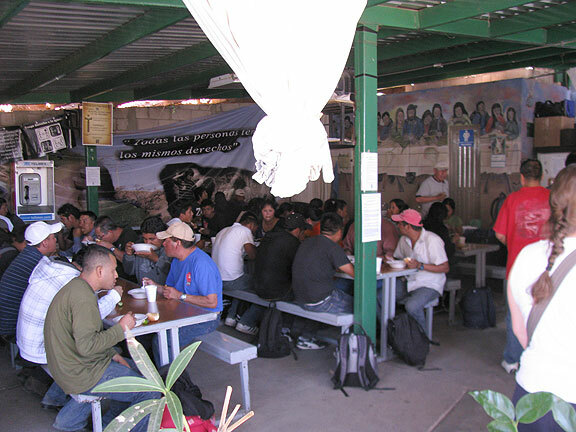 This is the Comedor in Nogales, Sonora. 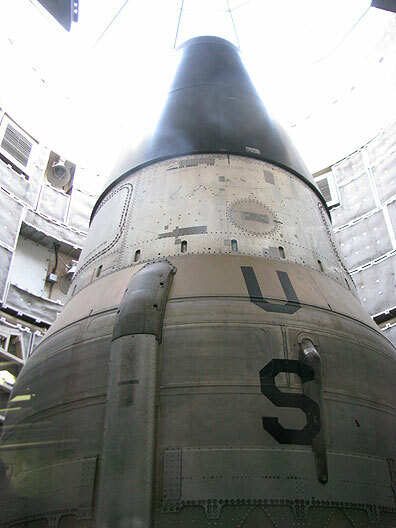 Back in the U.S. it seemed appropriate that we’d go visit the Titan Missile Museum, the only intact missile silo housing a former Intercontinental Ballistic Missile, the kind that used to dominate the news during the Cold War, the same one that the guy is riding at the end of Kubrick’s classic Dr. Strangelove. 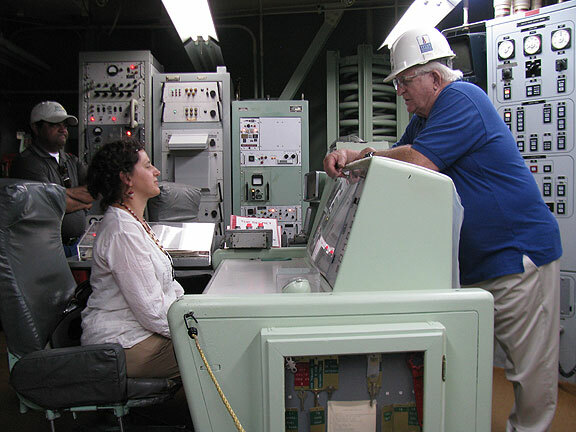 By chance, the guide asked Adriana to be the visitor who sat at the console where once it would have been possible to be half of the team arming and launching an ICBM to an unknown target in the Soviet Union. 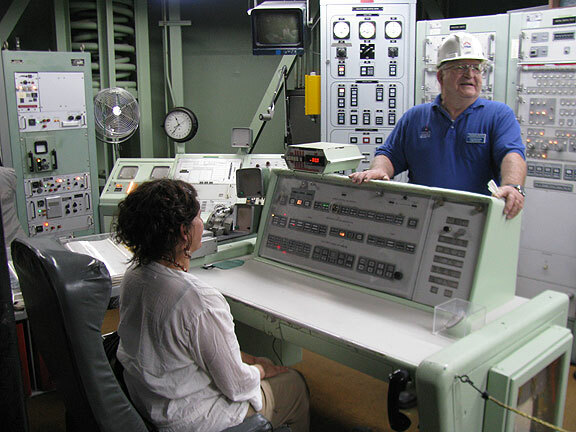 The pride in the “service” provided by the old Cold War relic was palpable among the volunteer staff and even some of the visitors. We couldn’t help but connect the mass psychosis of the Cold War (and the long-term deception by the U.S. that there was a “missile gap” or that the Soviet Union was somehow equal or more powerful than the overwhelmingly superior arsenal of the United States) with today’s mad xenophobia and racism that reinforces and exaggerates the border between the U.S. and Mexico. Learning how to launch nuclear war, c. 1962. Adri at the launch panel. 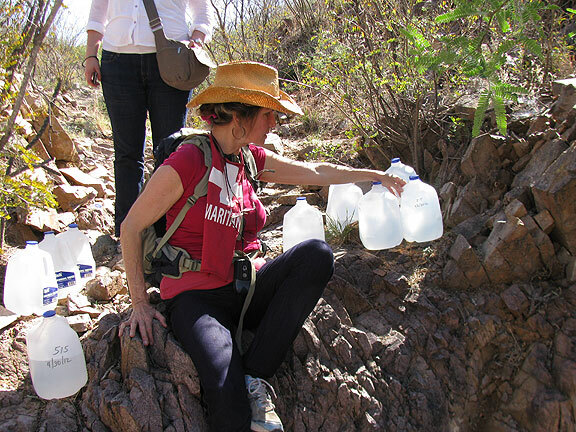 On Monday we went out to the desert with Norma and Kathryn of the Samaratins, folks who have been working for years to provide humanitarian assistance to people crossing the desert. 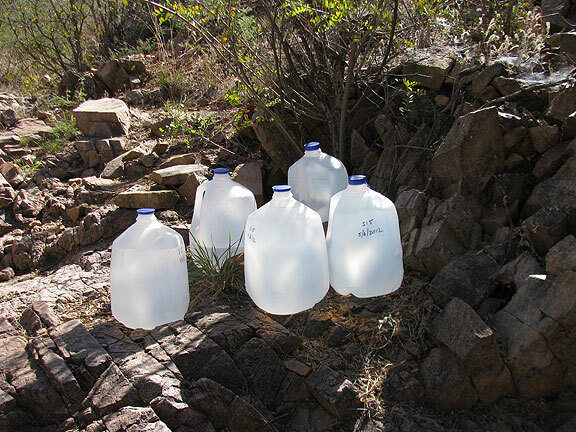 They’ve been busted and prosecuted, but have won the right in court to leave water in the desert, and to provide clothing, food, and medicine to people they encounter out there, as acts of humanitarian aid. 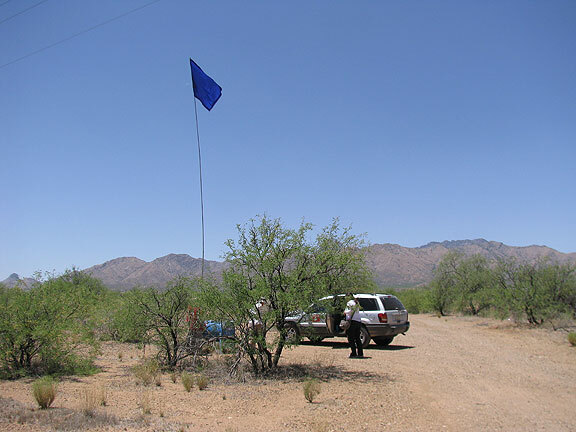 They took us on a long ride west on Arivaca Road from I-19, and on some back country dirt roads along the way too, which gave us a deeper appreciation for the difficulty of the crossing, as well as great respect and admiration for the work they were doing. 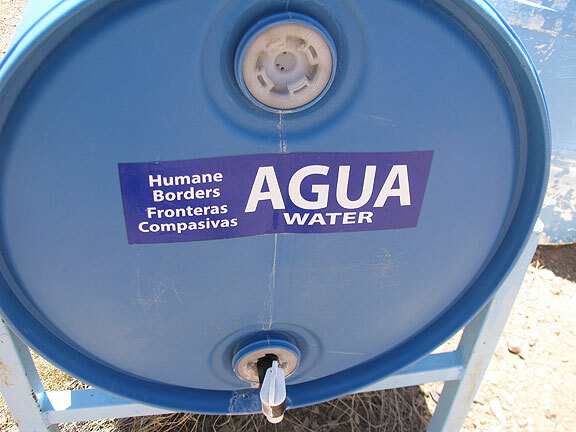 Blue water tank in desert, one of several efforts to provide humanitarian relief to the thousands risking the boiling desert crossing. 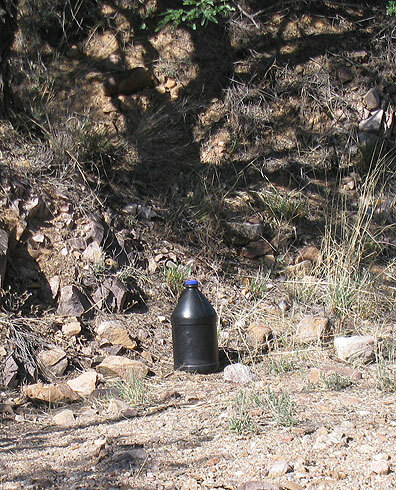 Migrants generally carry water bottles painted black so they won’t be seen by spotlights during night crossings. 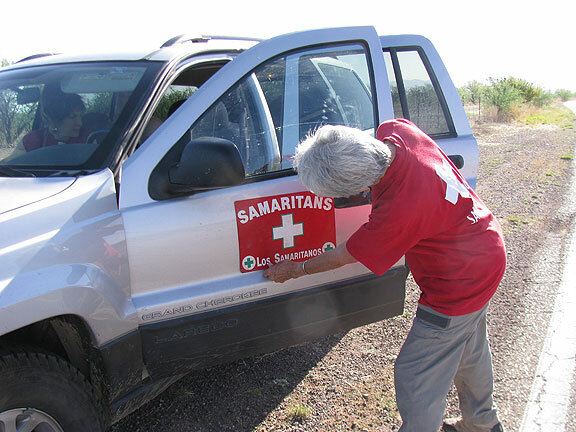 The Samaratins put this magnetic sign on their vehicle so everyone will recognize them. Checking a water drop deep in the desert. 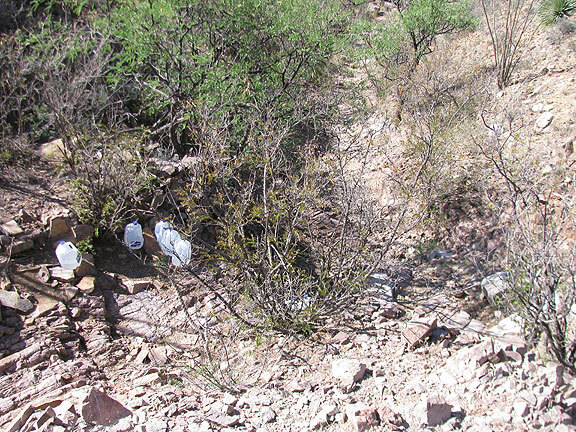 We went along this trail to find the water drop we were planning to restock. 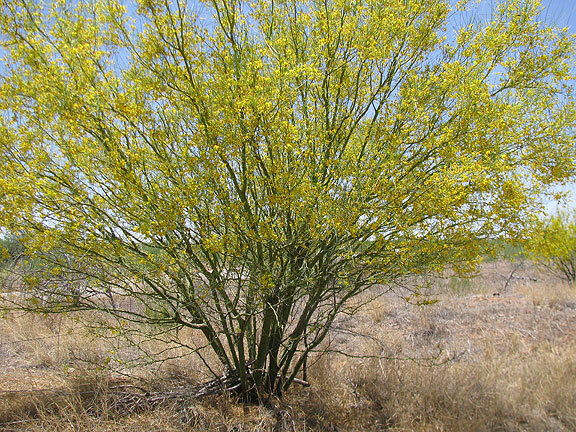 Walking the desert with the Samaratins. Hiking back out after dropping the water. 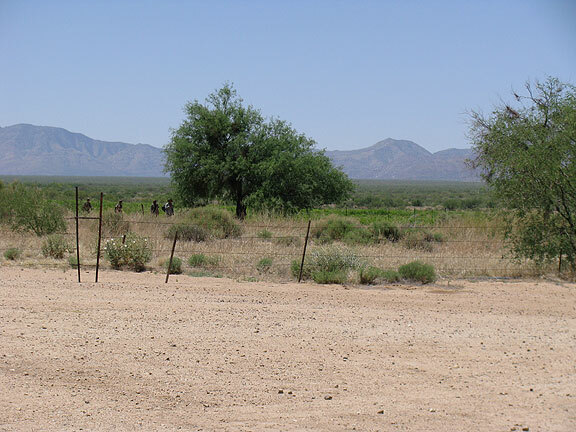 Eventually we arrived at the Sasabe border crossing, which is right in the middle of the Altar Valley that we’d visited a few days earlier at the King Anvil Ranch, but now we were many miles south. 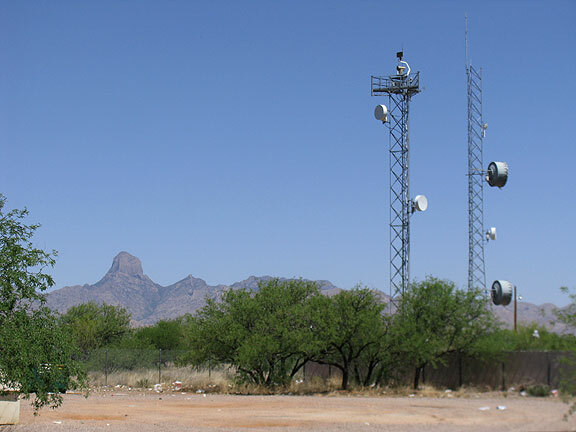 Along the way we saw a number of radar installations and heard that the Border Patrol had invested millions in the Israeli-designed electronic “net” that was supposed to provide total electronic coverage of the border. Hilariously and typically, the system never worked, and these towers were just white elephants sitting and gathering dust in the desert. 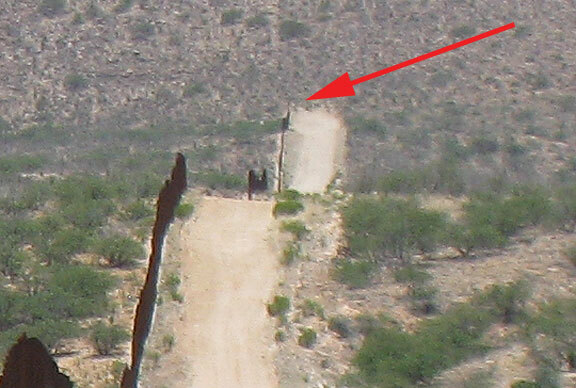 Ahead is the border crossing at Sasabe, Arizona, west of Nogales. Rolling fence along border near Sasabe. Strangely, all this money and hardware and it just stops a mile or two west of the small border station at Sasabe. You can look right through, but it is hard to go through. These useless radar towers look impressive but are just white elephants that have never worked properly. Baboquivari Mountain is in the distance. 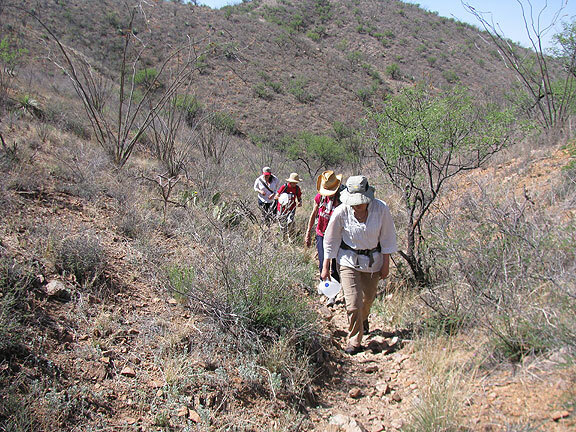 Baboquivari Mountain is the spiritual home of the Tohono O’odham people, and it’s also the landmark migrants are encouraged to keep to their left as they walk north up the valley. If they find themselves on the west side of those mountains, the death rate is much higher. 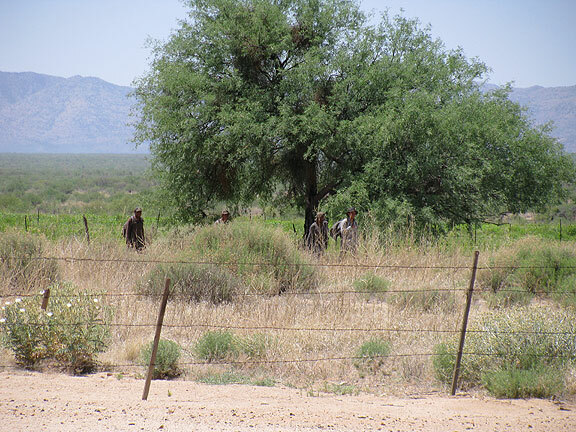 The Tohono O’odham have a long, complicated relationship to Mexican migrants themselves, and while not fond of the U.S. border patrol, they aren’t particularly open to having their reservation being a migration corridor either. The last day in Tucson I bailed while Adriana and Carmen visited the Pima County Medical Examiner, the “streamline” court where 70 random migrants are turned into federal felons in a matter of an hour or so before deportation, and then an activist lawyer. I hung out in cafés and eventually made a quick visit to Bicas, the awesome DIY Bike Kitchen in Tucson that was part of my original inspiration for writing the “outlaw bicycling” chapter in Nowtopia. 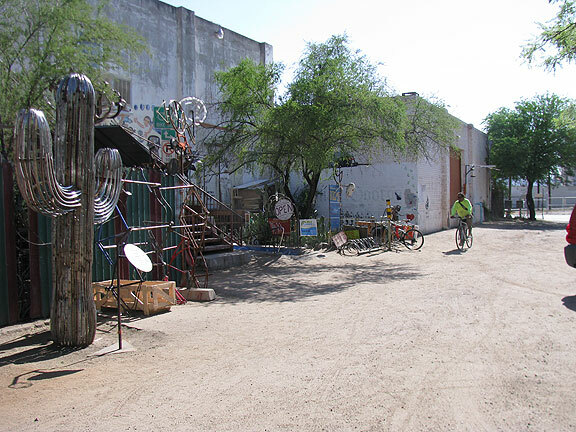 Bicas, Tucson’s venerable bike kitchen. 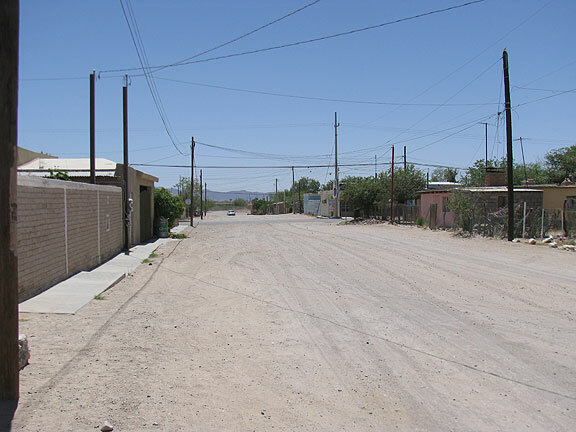 It was an intense visit, nearly 100 degrees in Tucson and the surrounding desert (reminding us that the city IS desert too), and the complicated barbarism of the border left a huge impression on me. 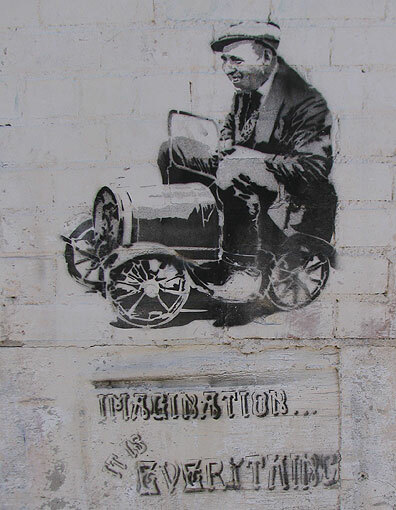 A nice stencil at Bicas.